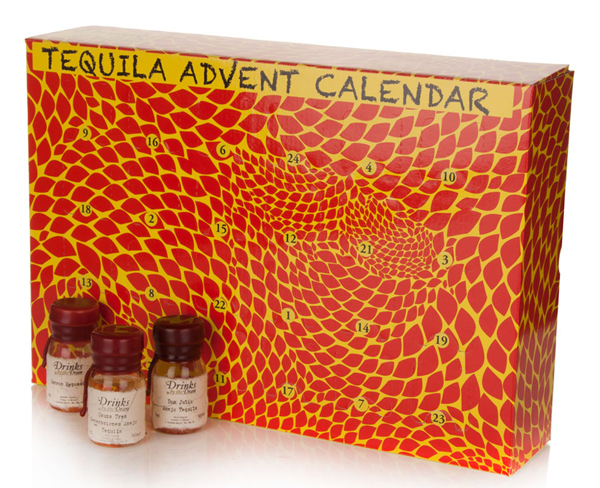 If you’re looking to enjoy your Christmas countdown the way you best know how, except this time you’d like to avoid the drive down to a questionable cantina in Tijuana for your traditional tequila shots, then the Masters of Malt have got the perfect advent calendar for you — the Drinks of the Dram 2014 Tequila Advent Calendar. Because if the gin calendar didn’t grab you by the gullet, and the whisky one didn’t whisk you away, then you can start salting your wrist on the daily and fill your stocking with limes accordingly. Open up the gift window to a 3-cl. bottle for each day of the 24-day holiday countdown as you cordially acquaint Mr. José Cuervo to one Señor Kris Kringle. Reposados include Siete Leguas, Maracame, Maestro Dobel, Don Julio and Tres Generaciones, while añejos include Don Fulano, 1800, Tapatio Excelencia Gran Reserva and more. Preorder your 2014 Tequila Advent Calendar now for about $240. Deliveries already started.